You will be flown from Arusha to Zanzibar by one of the domestic flights. Enjoy a scenic flight with great views over the landscape. On clear days you might be able to see the both Mount Meru and Mount Kilimanjaro. Sit back and enjoy the flight as you head to your ultimate beach holiday! Transfer from your hotel to Arusha Airport. Arusha is a major international diplomatic hub. The city hosts and is regarded as the de facto capital of the East African Community. Arusha is surrounded by some of Africa's most famous landscapes and national parks. Situated below Mount Meru on the eastern edge of the eastern branch of the Great Rift Valley, it has a mild climate. Upon your arrival at Zanzibar airport, our representative will meet you and drive you to your hotel for a first evening in the archipel. This day is at your disposal. Relax on the white sand beach while enjoying the beautiful landscape that offers the Indian Ocean. The crystal clear water of the sea is at a stable temperature throughout the year between 25 ° C and 27 ° C. Lined with powdery white sand beaches, an azure water and coral reefs, Zanzibar is one of the most idyllic tropical destinations. Swim amongst some of the most stunning sea life in the world with PADI-certified dive instructors! 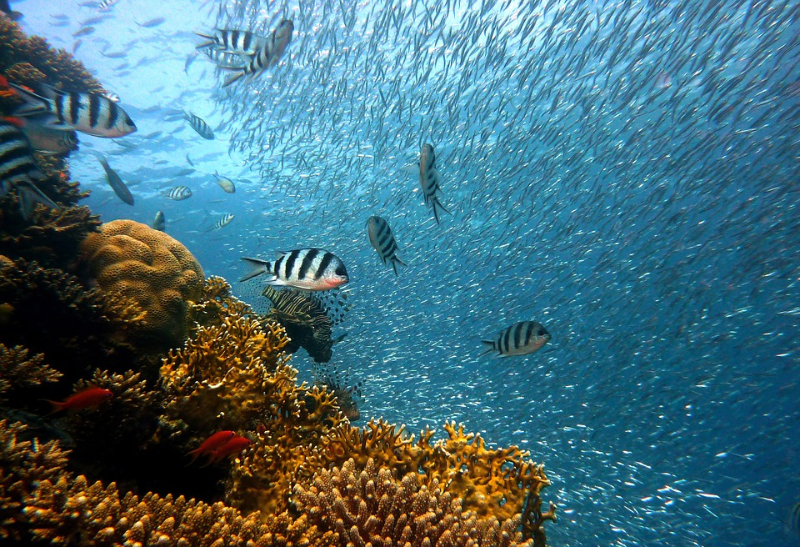 Zanzibar offers quintessential Indian Ocean diving, with colorful reefs, big bommies and enormous sea fans orbited by an amazing cast of reef fish. Courses are available include: Discover Scuba Diving, Scuba Diver, Open Water Diver, Adventure Diver and Advanced Open Water Diver. If Diving interest you, please let know your representative for pre-booking. You have another free day to yourselfin order to relax the vision of the Indian Ocean. However, if you dream to sail the seas, to board a typical boat, a blue safari is probably what you need. Spend the day exploring the archipelagos of the island of Zanzibar. Staff shoed you a BBQ on a sandbank and you can go snorkeling excursions or take a sun bath. Check with your representative to book your safari blue. Sailing on a traditional Swahili dhow is a great experience in itself. Add the sunset, the gentle breeze and the peace and calm out there in the azure waters… and it turns into an unforgettable holiday memory! There are some magnificent diving and snorkeling sites around the Nungwi peninsula, most notably the famed Mnemba Atoll. Snorkeling packages can be booked directly at the lodge. A full day trip on the traditional dhow, the “My Lady”, will take you there for extensive forages into the tropical underwater world, swimming and sun bathing on a remote and picturesque beach. 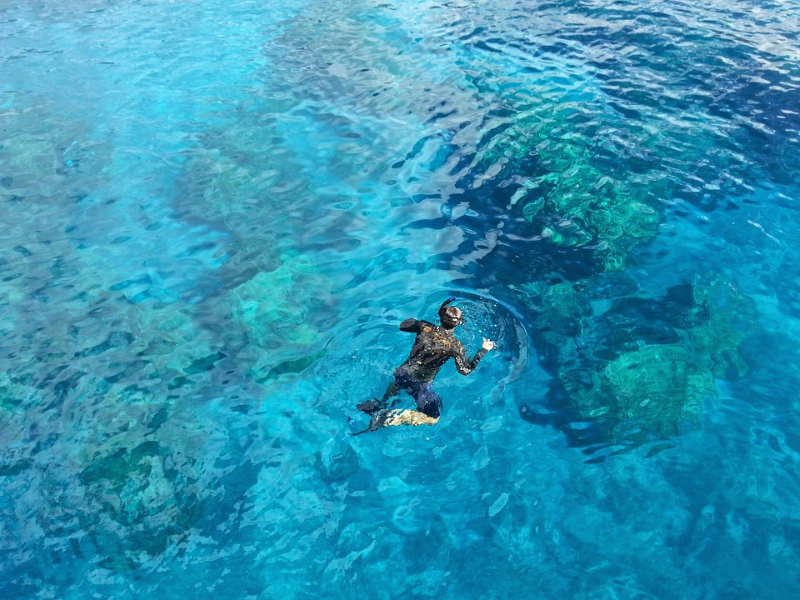 You can choose from two favorite snorkeling spots – one in shallow and one in deeper water. Swim with the dolphins (although their presence can’t be guaranteed) or go for a spot of fishing and catch your own lunch. Don’t worry if you don’t get a bite – we’ll buy from the local fishermen and set up a beach barbecue just for you! It is possible to do a Zanzibar spice tour, on the tour you'll find tropical fruits, spices and other rare species of plants. The tour takes about half a day and includes a visit to the Kidichi Persian Baths, built by Sultan Said for his harem. A stop for a swim at the nearby Mangapwani or Fuji beach can also be arranged. A spice tour will show you up close and personal why Zanzibar is called the Spice Island. On a guided spice tour, you will have the opportunity to learn about the variety of Zanzibar spices, to see how they grow, to taste, touch and smell them. The guide will also explain the uses of spices in Zanzibari cuisine, as well as their role in the medical and cosmetic field. Spices which can be seen include cloves, nutmeg, cinnamon, pepper, ginger, vanilla and many others. Today, Zanzibar is the world largest exporter of cloves. If the tour is of interest for you, please ask your representative more information about it. You will be transfered from your hotel to Zanzibar Airport. This luxury resort is located on the quiet southeastern coast of Zanzibar, on a peninsula that overlooks Chwaka Bay. The resort sits on a large secluded piece of land that allows guests to experience the utmost luxury in the heart of nature. Each of Konokono’s 24 villas is nestled amongst the lush natural surroundings, and all have a view of either the gardens or the bay. The villas all have private verandas, gardens, and a plunge pool. They are decorated with light colors and natural woods that blend with the coastal surroundings and have air conditioning, LCD TVs, and a mini bar. The open-air restaurant sits on a cliff overlooking the private beach and the bay. The resort also has a beach bar, a spa, and an infinity pool that overlooks Chwaka Bay.